What are the guidelines we can follow when designing a product to improve medicine compliance? 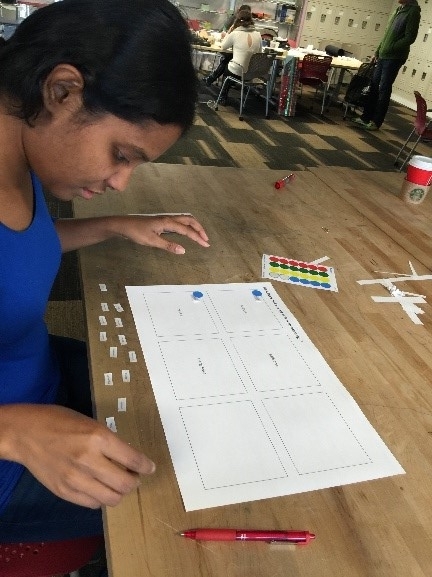 This user research project was focused on medicine compliance among graduate students. The initial inquiry involved general domain research in the field of medicine compliance. The subsequent stages concentrated on graduate students with a focus on medicine compliance with respect to packaging of drugs (includes storage method, container or location of medicine in the house or in the bag). I also explored the relation between accessibility and visibility of the medicine and compliance. Quantifiable data was mainly collected from the interviews and an online survey that was conducted to gain more insights and validate the findings of the interviews. The interviews have been summarized below. The candidates who were interviewed were from different backgrounds and locations. 6 Graduate students were interviewed. 3 were male and 3 were female. 4 of the students are from Carnegie Mellon University. 1 is from Georgia Tech, and 1 from Claremont Graduate University. 3 of the students are in the MIIPS program. 1 is a student in the ECE department at CMU. 1 of them is a graduate student in mechanical engineering and one is a Ph.D. student in psychology. The table below shows my observations from the walk-a-mile simulation, the observation session, interviews and the survey. This data guided me to form my initial insights. The colored cells in the table indicate the source that the particular insight/observation has been obtained from. 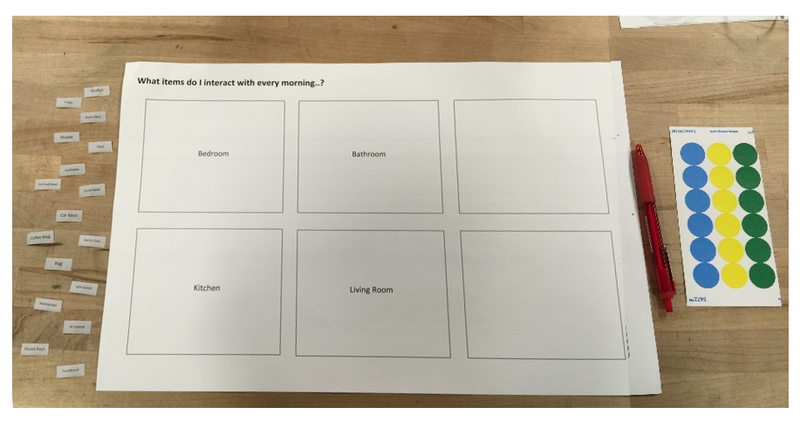 A medicine compliance app called 'RxmindMe' was used for this Think Aloud usability test. 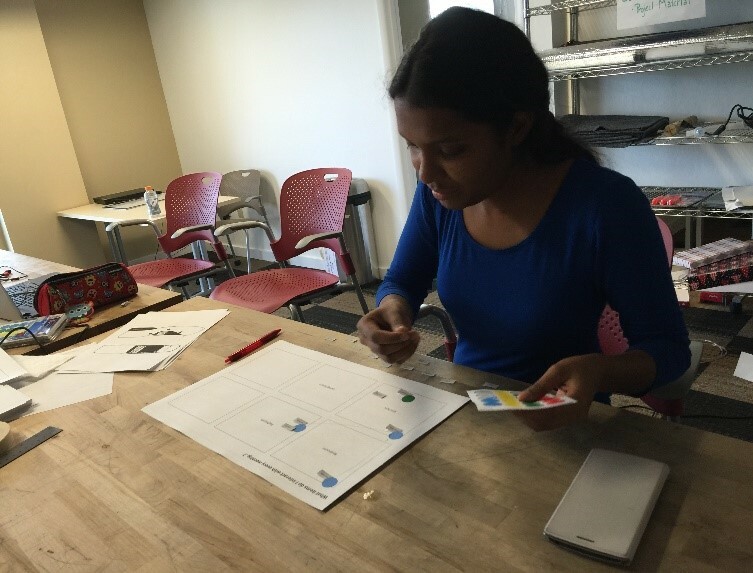 Three users took the test and had to navigate through five tasks on the app. The picture shows some screenshots of the app with some problem areas highlighted. 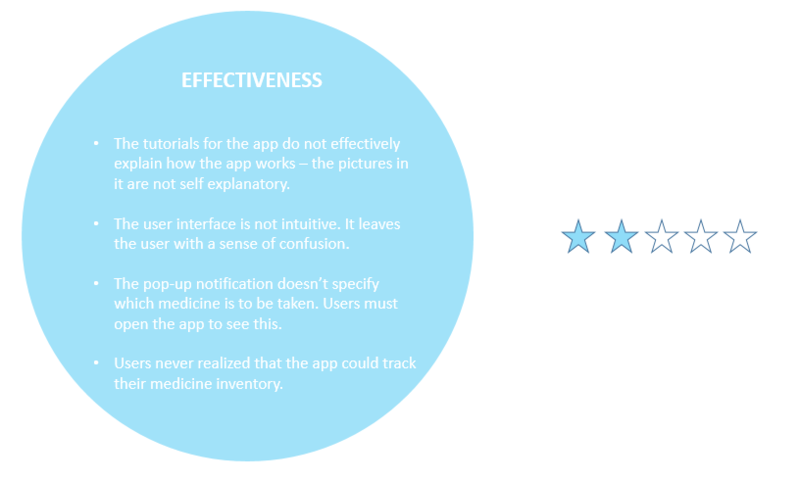 Based on the test, the app was rated for effectiveness, efficiency and satisfaction. The ratings can be described as below. The severity of the medical condition influences how conscious and attentive people are about taking their medicines at the right time in the right way. Special instructions that accompany medicines may increase non-compliance. Users are likely to be more compliant if their medicines are easily visible and accessible to them when they need to take them. Alarms or reminders set on smart phones and simple transparent pillboxes are the most preferred aids to help people remember to take their medicines, as they are more convenient, effective, cost-effective and comfortable as compared to apps and devices built to increase medicine compliance. The actual packaging of the medicine does not significantly influence compliance. From the synthesis of the insights, ‘visibility and accessibility’ emerged as a strong influencer of medicine compliance. My insights and observations along with some quotes from interviews helped me chalk out a diagram for visibility and accessibility. The co-design session was used to understand how the visibility of and accessibility to medicines can be improved in a user’s house. The session aimed to generate results that would inform the design recommendations that could guide us to develop products or services that would aid medicine compliance by improving the visibility and accessibility. 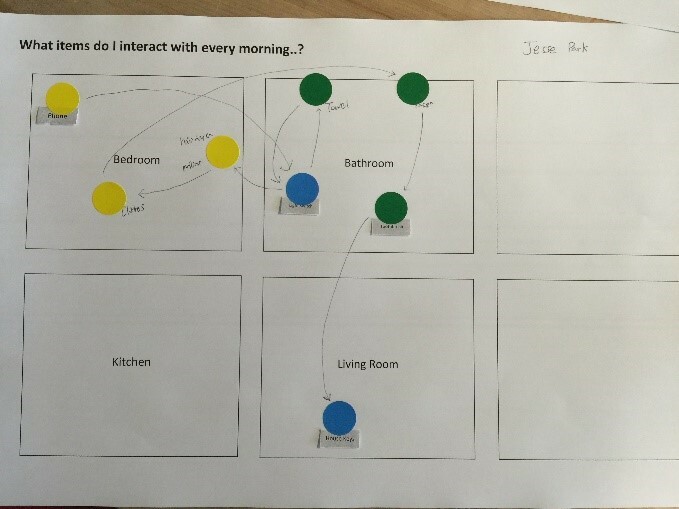 The users had to trace through their morning routine on a map depicting the various rooms in their house, placing stickers for objects they interact with and indicating the quality of this interaction with different colors. Must be flexible and customizable according to each user’s schedule and need. Must be accessible or visible to them exactly when medicines have to be taken. Must not cause discomfort, mentally or physically to the user or demotivate them. Must not confuse the user. Should not disturb the user when not being used. Should not chastise them or create negative feelings that users associate with medicine compliance. Should increase confidence of users. Should be easy to use. Could be integrated with other objects or services. Could use novel technologies to capture the attention of users.